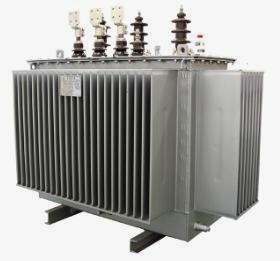 To perform the economical analysis of transformer, it is necessary to calculate its life cycle cost, sometimes called total cost of ownership, over the life span of transformer or, in other words, the capitalised cost of the transformer. All these terms mean the same – in one formula, costs of purchasing, operating and maintaining the transformer need to be compared taking into account the time value of money. The concept of the ‘time value of money’ is that a sum of money received today has a higher value – because it is available to be exploited – than a similar sum of money received at some future date. In practice, some simplification can be made. While each transformer will have its own purchase price and loss factors, other costs, such as installation, maintenance and decommissioning will be similar for similar technologies and can be eliminated from the calculation. Only when different technologies are compared e.g. air cooled dry type transformers with oil cooled transformers will these elements need to be taken into account. Pk – is the rated load loss. Po and Pk are transformer rated losses. A and B values depend on the expected loading of the transformer and energy prices. The choice of the factors A and B is difficult since they depend on the expected loading of the transformer, which is often unknown, and energy prices, which are volatile, as well as interest rate and the anticipated economic lifetime. If the load grows over time, the growth rate must be known or estimated and the applicable energy price over the lifetime must be forecast. Typically, the value of A ranges from less than 1 to 8 EUR/Watt and B is between 0.2 and 5 EUR/Watt. Below we propose a relatively simple method for determining the A and B factor for distribution transformers. These formulae assume that energy prices and the loading are constant over the transformer life. Usually, the loss evaluation figures A and B form part of the request for quotation are submitted to the transformer manufacturers, who can then start the complicated process of designing a transformer to give the required performance. The result of this open process should be the cheapest transformer, i.e. with the lowest total cost of ownership, optimised for a given application. The drawback of this process is, as mentioned, the difficulty in predicting the future load profile and electricity costs and tarrifs with any confidence. On the other hand, these optimisation efforts depend on material prices, particularly active materials, i.e. conductor and core material. Dynamic optimisation makes sense when there is the different price volatility of different materials like aluminium and copper or high and low loss magnetic steel..
For large transformers, above a few MVA, the cost of losses are so high that transformers are custom-built, tailored to the loss evaluation figures specified in the request for quotation for a specific project. For distribution transformers, often bought in large batches, the process is undertaken once every few years. This yields an optimum transformer design, which is then retained for several years – less so nowadays because of the volatility of metal prices – until energy prices and load profiles have changed dramatically. In fact the loss levels established in HD428, HD538 and national standards reflect established practice of preferred designs with respect to loss evaluation values. To make the capitalisation more attractive, so that the use of TCO is easier, we propose the use of a graph, shown in Figure 5, which allows determination of factor A. This example illustrates that for an electricity price of 100€/MWh, an interest rate of 5% and a 10 year capitalisation period, the cost of no load loss will be 6,75 € / Watt. Factor A is directly proportional to electricity price so the A factor can simply be scaled to account for electricity price changes as long as the interest rate and capitalisation period remain unchanged. It is important to note that, for small interest rates, a doubling of the capitalisation period will result in almost doubling the cost of losses. On the other hand, applying too high a capital rate, by making, for example, too high a provision for risk, will produce a low value of loss. Factor B, as explained previously, is simply the product of factor A and the square of the loading factor. (B = A * (Loading)2) The loading factor used here is the expected average load over the life span of the transformer, possibly taking harmonics into account.